The deadline to submit the final list of the squad members for the ICC World Cup starting in May is just a few months away now. India’s top three in Rohit Sharma, Shikhar Dhawan and captain Virat Kohli are settled, so does the bowling line-up. South Africa have always been one of the favourites for the World Cup but they have never won the tournament. Shaun Pollock was a part of many South African squads who suffered heartaches in the 50-overs extravaganza. India spinner Kuldeep Yadav reaches career-best second position in the MRF Tyres ICC Men’s T20I Player Rankings. With the political tension between the two fiery neighbours showing no signs of improving, the chances of seeing them resuming their famous rivalry look next to impossible. The Indian government has made it crystal clear that it wouldn’t give BCCI the green light to go ahead and play with Pakistan. The all-rounder looked very positive with the bat and was definitely over the Nidahas Trophy final debacle. 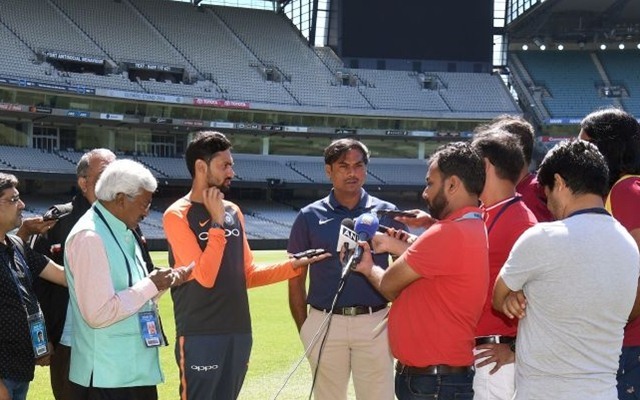 Talking about how he can contribute to the side, Shankar said he wants to keep himself flexible to bat at any position and bowl under any circumstances. Former Australian spinner Shane Warne feels the world is becoming increasingly politically correct and it has influenced sportspersons too. Warne, 49, said Kohli loves confrontation and that’s a reason why his name surfaces so often in grand chases. He was present at the Delhi Under-23 team’s trials held at St Stephen’s ground until beaten up by an unidentified group of men. Bhandari was severely attacked and has sustained injuries on the head and ear, the goons soon after fled the spot. The Australia Cricket Awards took place today and it saw the deserving players, both from the male and female team, being crowned with various awards. The event was also a one memorable for Nathan Lyon as he became the first finger spinner to bag Australia’s men’s Test player of the year. Mujeeb Ur Rahman, the 17-year-old off-break bowler from Afghanistan, has been signed by Middlesex to play in next season’s T20 Blast. Mujeeb recently played for Brisbane Heat, captained by Chris Lynn, in the Big Bash League (BBL). Tom Curran has reaped the rewards for his fine display in his maiden season at the Big Bash League. His absence, nonetheless, has left the Sixers with a big void to fill ahead of the semi-final clash against Melbourne Renegades.